Officer Ortiz has been with Operation Progress since its inception and has been an exceptional advocate and mentor in all his years with us. He officially mentors 3 OP Scholars, Destiny, Daisy, and Rosie, but unofficially supports 4 additional Scholars. He constantly checks up on their academics by going to their schools to talk with teachers and is a regular fixture at their extracurricular activities and sporting events. Every Saturday, you’ll find Officer Ortiz chaperoning our Equestrian Program at the horse stables in Glendale. 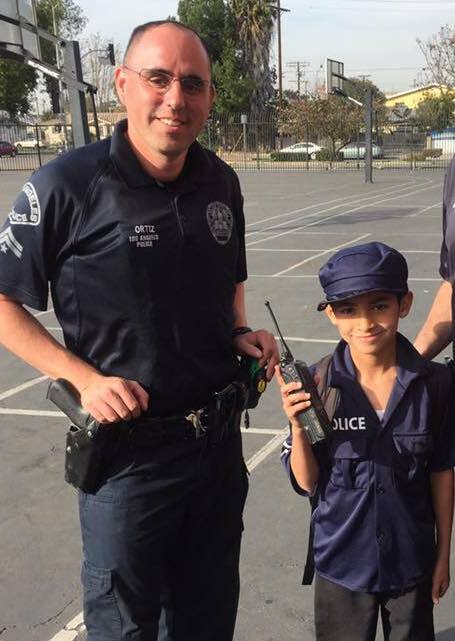 Officer Ortiz’s enthusiasm for Operation Progress helps permeate the LAPD and greatly supports in mentor recruitment. His steadfast commitment, reliability, and passion for mentorship serves as a model example for new LAPD recruits of how to be an officer of and for the community.